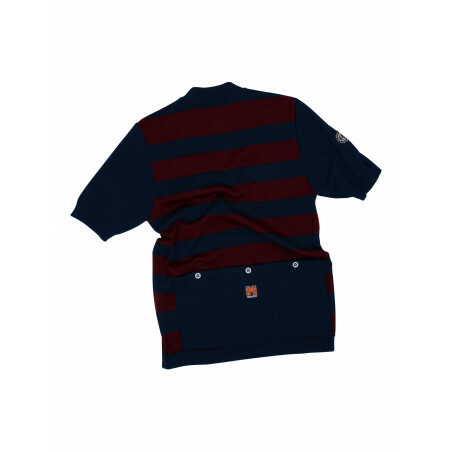 Short-sleeved knitted woollen jersey that provides you with that retro feel. 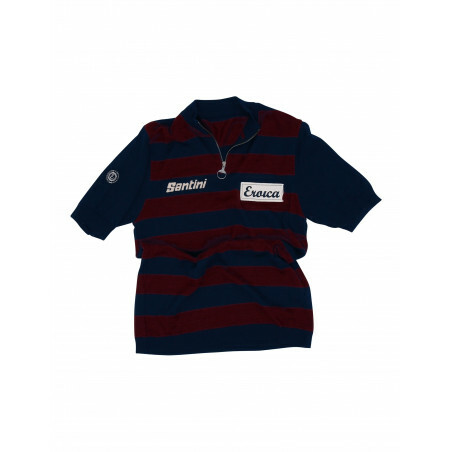 In dark blue and Bordeaux to emphasise the earthy tones from which LEroica was first inspired. Authentically contrasts that deep tone of a Tuscan night sky with that of its aromatic wine. Completed with a stylish metal ring zipper.